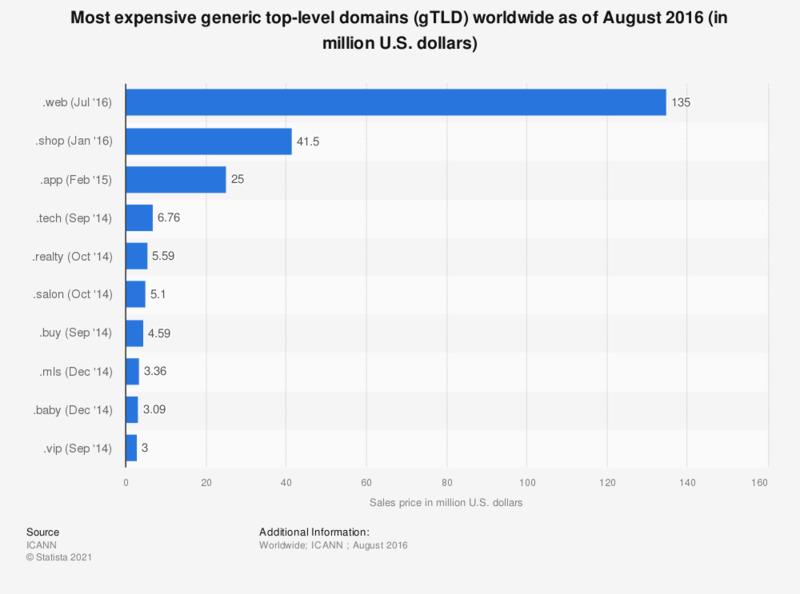 The statistic presents a ranking of the most expensive generic top-level domains (gTLD) worldwide. In February 2015, Google purchased the .app domain for 25 million U.S. dollars. Online retailer Amazon spent 4.59 million U.S. dollars for the gTLD .buy in September 2014. The most expensive gTLD was .web, which was won at auction by Nu Dot Co LLC for 135 million U.S. dollars.